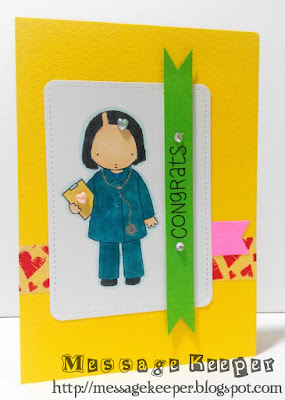 Made this card for my childhood best friend who is an Advanced Practice Nurse (APN) in Singapore National University Hospital (NUS) in which she received Ministry of Health Singapore Nurses Merit Award 2016 on 19 July 2016. I am so proud of her on her achievement despite that she is dyslexia. For this card, I am adopting MFT Wednesday Sketch Challenge - Sketch 290 (MFTWSC290) as shown above but rotated it clockwise to fit my image. The image I use suppose to be a female doctor but I turn her into nurse in which I stamped on a white stitching journal card die cut. It is colored using Copic markers by matching my best friend nurse uniform color. 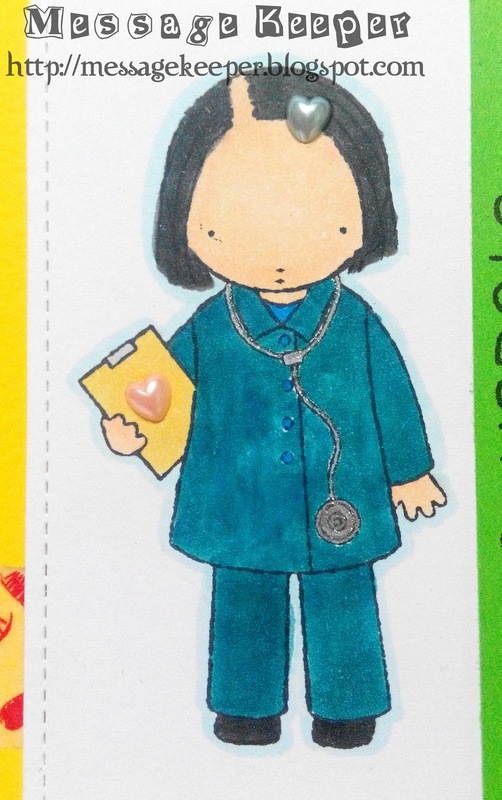 The stethoscope is colored with glitter pen to give some bling to it. 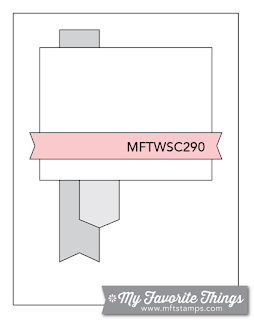 A washi tape that have red hearts pattern is attached onto a card yellow base as shown in the sketch follow by a pink fishtailed banner. The stitching journal card die cut is attached on top of it as in sketch. The sentiment is stamped on a green strip and fishtailed at both the ends. 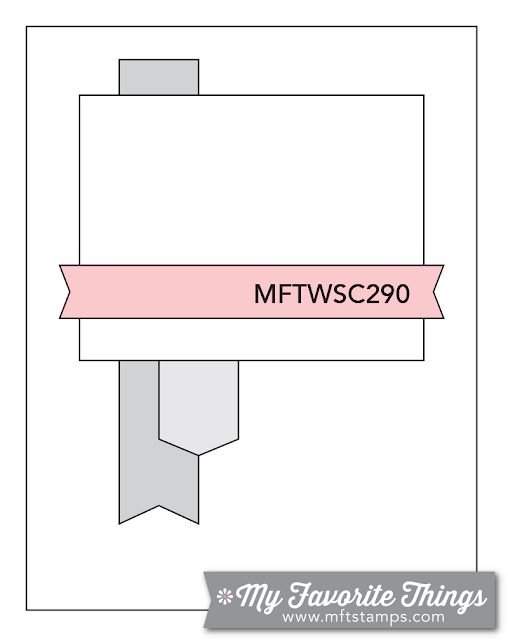 It is attached onto the card as shown in sketch using foam tape. Finally, two (2) gems are added to the front and end of the sentiment. A grey pearl heart is attached to the hair as illustrated and another pink pearl heart is attached onto the medical record that the nurse is holding. Very cute image and love how you flipped the sketch. Sorry I'm late popping in, been unwell. Thanks for sharing with us at Crafty Girls Creations and hope to see you again.